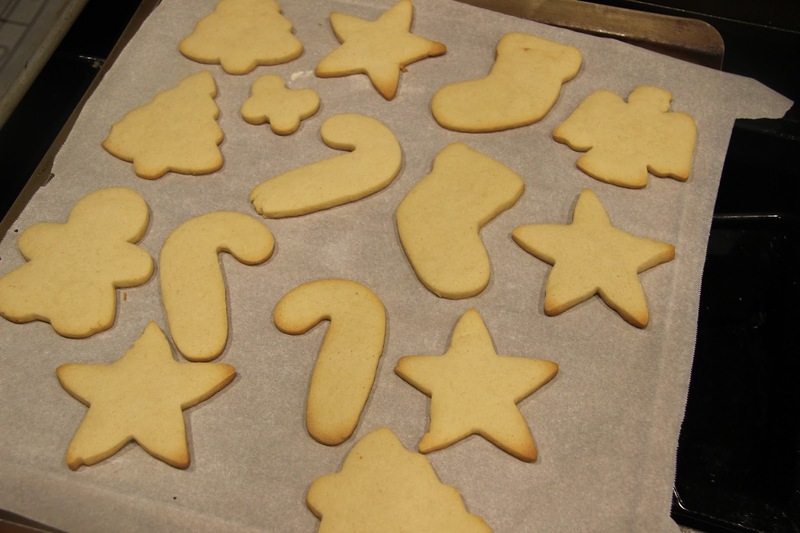 In December 2009 my dream of making Christmas cut-out cookies with my children was realized. Look at that smile on my face. The girls were almost 3 years old and, of course, they required loads of patience but I was one happy mama baker! It helped that after the photo op and several tastes of frosting, they were pretty much over it and I was left to finish the task on my own. 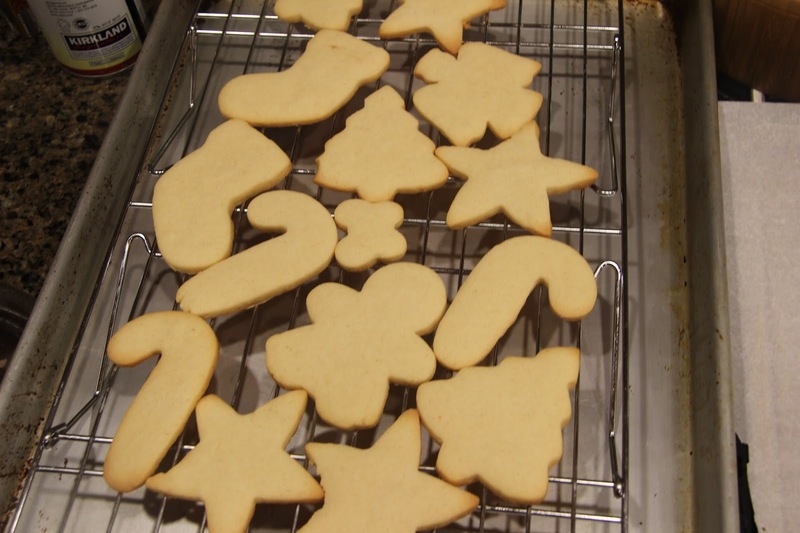 I’ll admit, I don’t make these every year, I often opt for the much easier but equally delicious spritz cookies. You really have to have ample time and that’s not always available – pretty sure we skipped it last year in fact because we had too much going on. 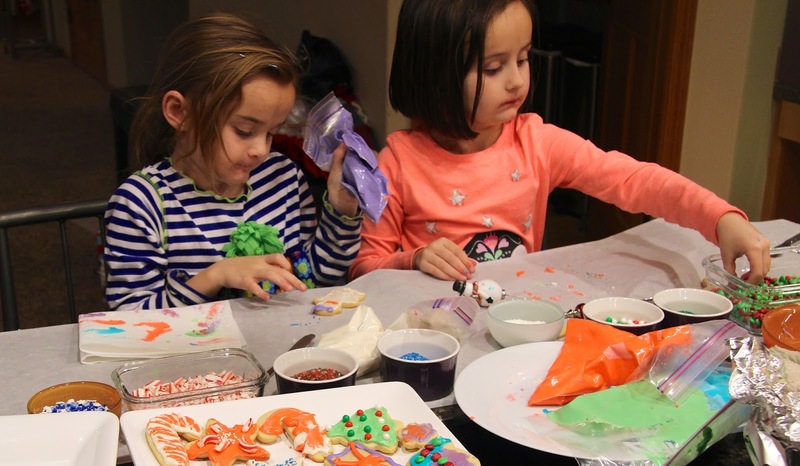 This year, however, we said no to any extracurricular activities during November and December and it was a great call because we have the time to do the things that are really important to us for the holidays. Cookies are of utmost importance to us. 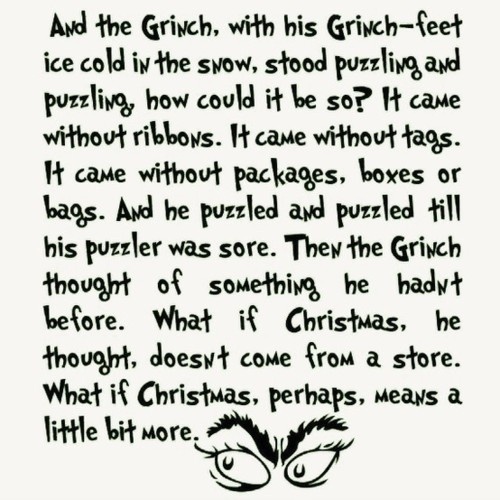 I have to warn you, this is a lengthy post. There’s a chance you might think I’m completely insane by the time you get to the end of it (if you get that far) because these are sugar cookies for God’s sake, how detailed do we really need to get? 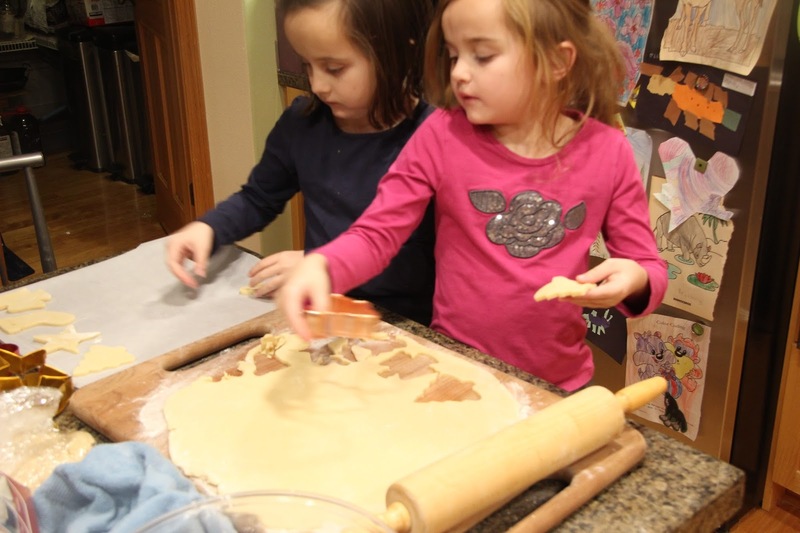 The only thing I can say in my defense is that a big reason I write this blog is for my girls and if they someday wonder just exactly how did mom make her sugar cookies to make them taste exactly like their childhood, here it is. 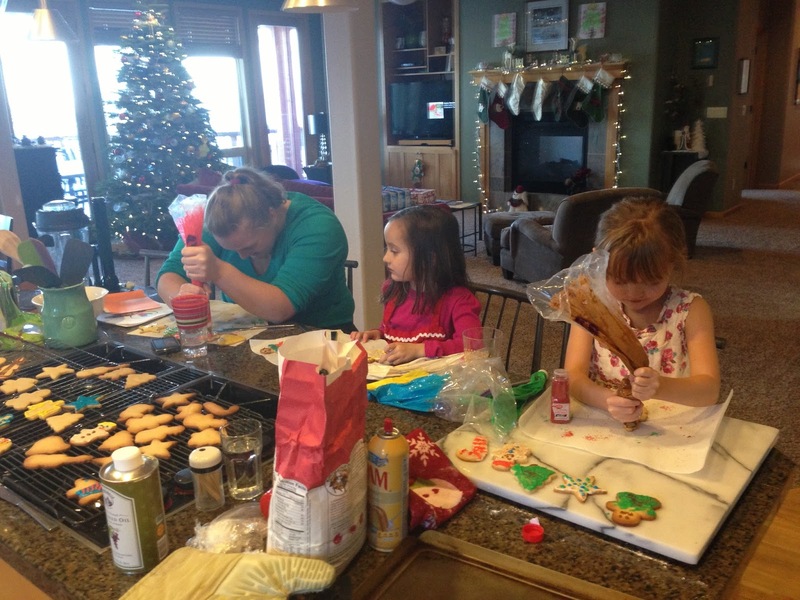 By 2012 they were ready to school cousin Nicole on the finer points of cookie decor! She proved to be a difficult student. 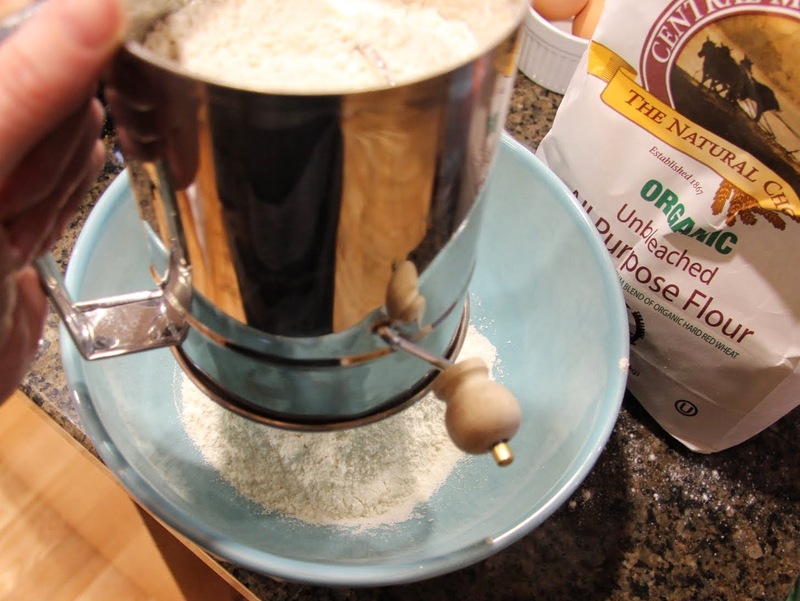 I realize there are easier ways to do this and that pre-made refrigerated dough is widely available but this recipe is so good I can’t bear the alternatives. 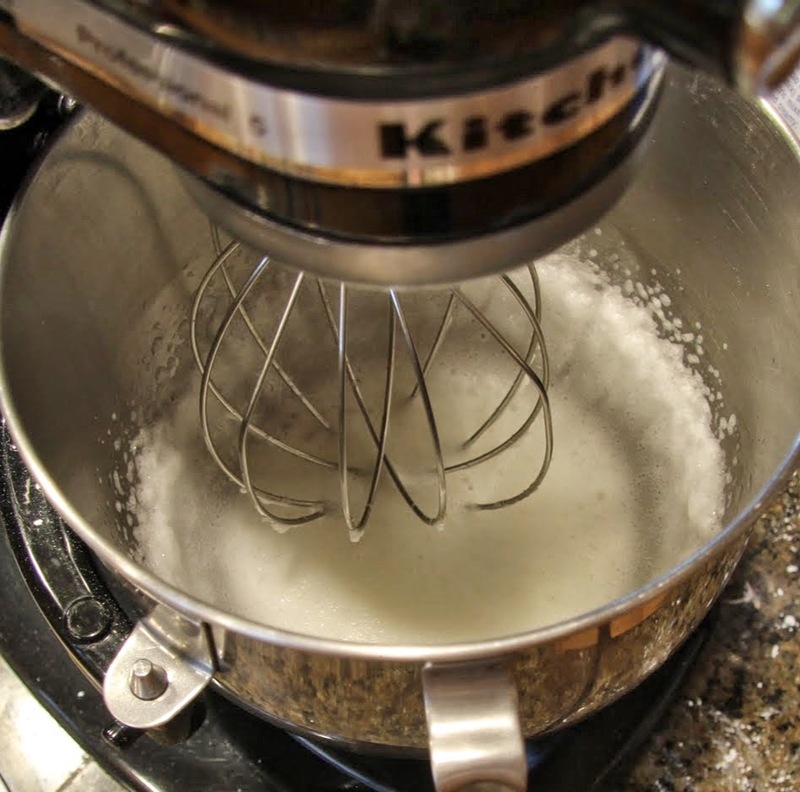 I’ve been using it since I was a kid – you can’t beat Joy of Cooking’s recipes for the basics. It’s important that the cookie taste really, really good because, quite frankly, royal icing isn’t a whole lot more than a pretty face. Sweet, pleasing to the eye, but not a lot of depth. I’ve tried using better tasting buttercream but it simply isn’t sturdy enough. Our collective effort in 2013 – pretty impressive for 6-year-olds and their tired mom, right? 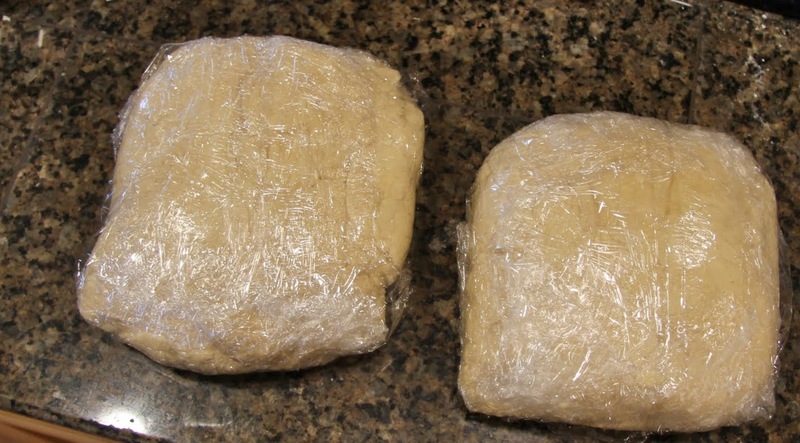 You will need to chill this dough at least a few hours before rolling it out. You can make it a couple days ahead of time and keep it refrigerated or even make it a few weeks ahead of time and freeze it. 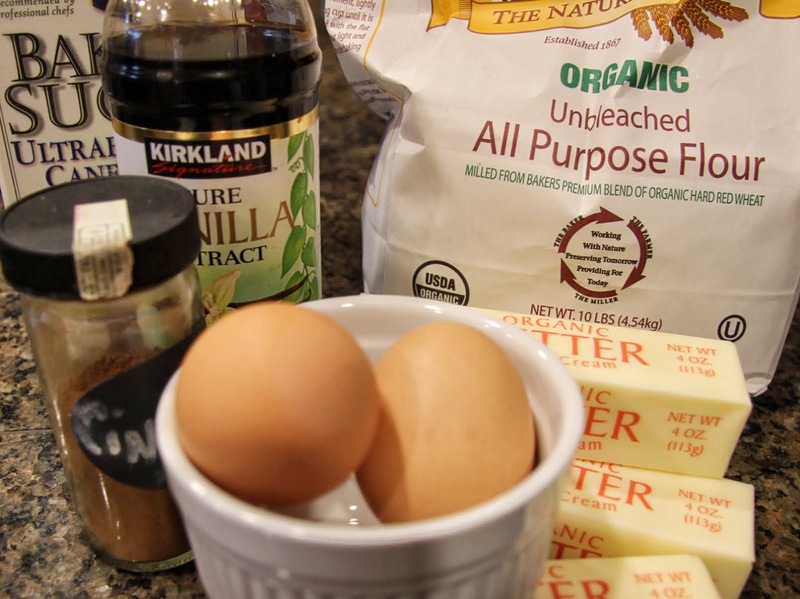 Gather cookie ingredients. 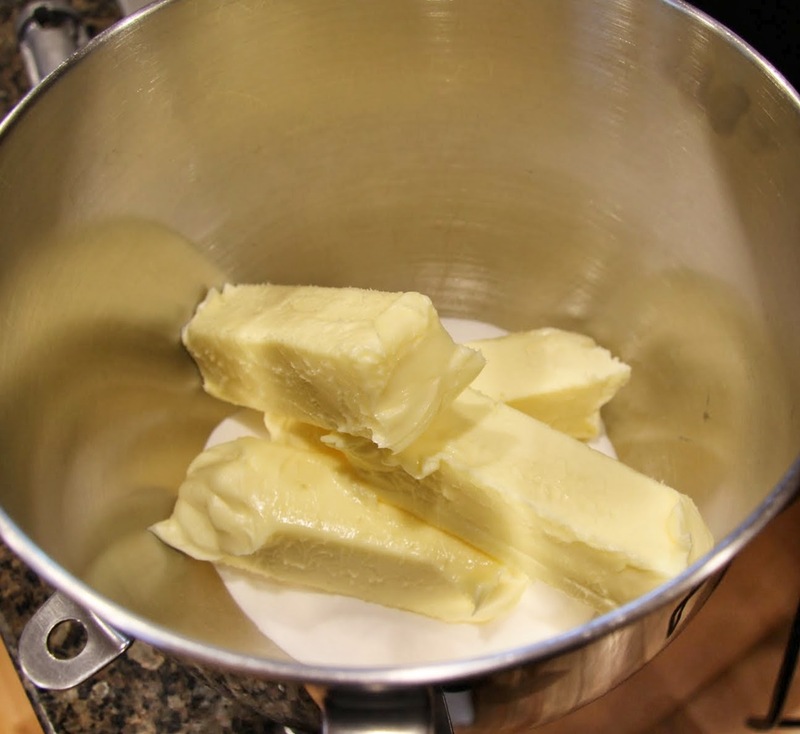 The butter should be softened to room temperature. I like to use superfine sugar because it dissolves well and makes for a more delicate crumb but regular granulated works too. 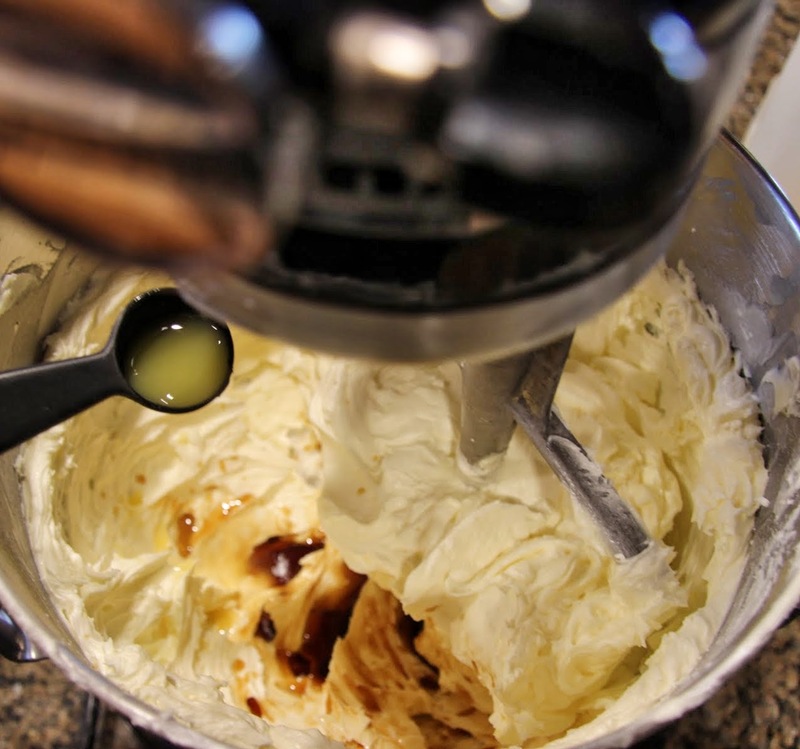 Pure vanilla extract is a must. *If you decide to add a bit of orange or lemon juice, please note that it won’t flavor the dough much, it just brightens it a little. I also don’t like to add too much cinnamon, the buttery vanilla flavor should be the star. I know, I sound really weird right now. It’s possible I overthink. 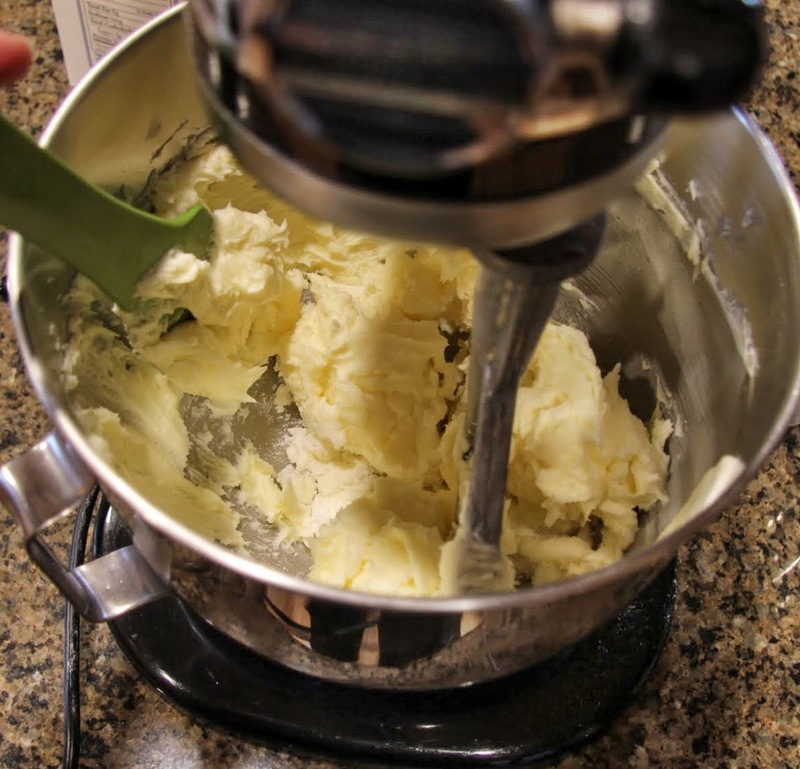 Mix together the butter and sugar until light and fluffy, scrape sides with a rubber spatula occasionally. 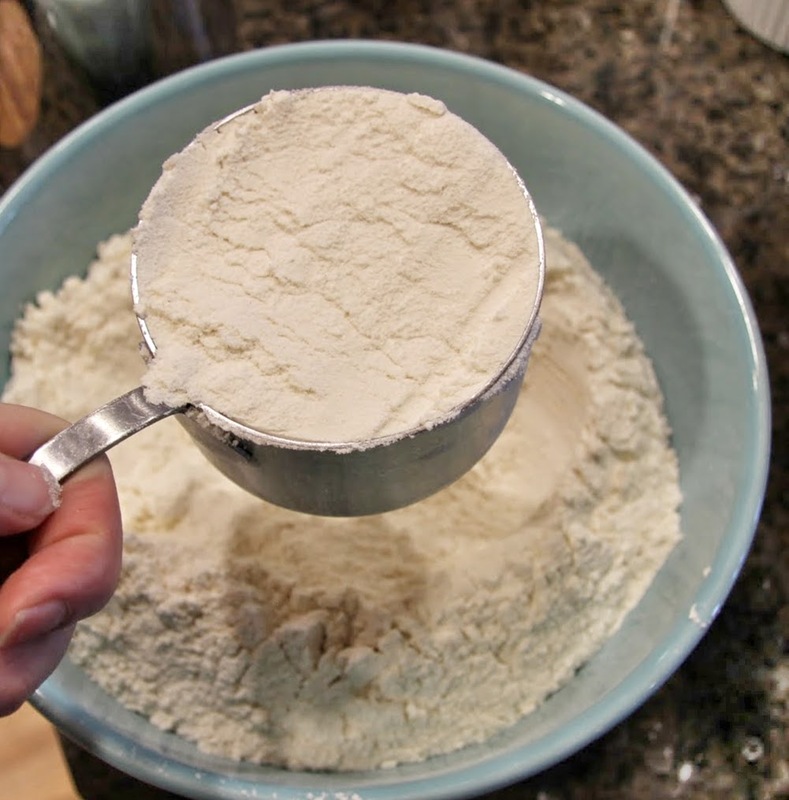 It’s important you sift the flour before measuring it so sift it in one bowl then measure into another. Stir in salt and cinnamon. 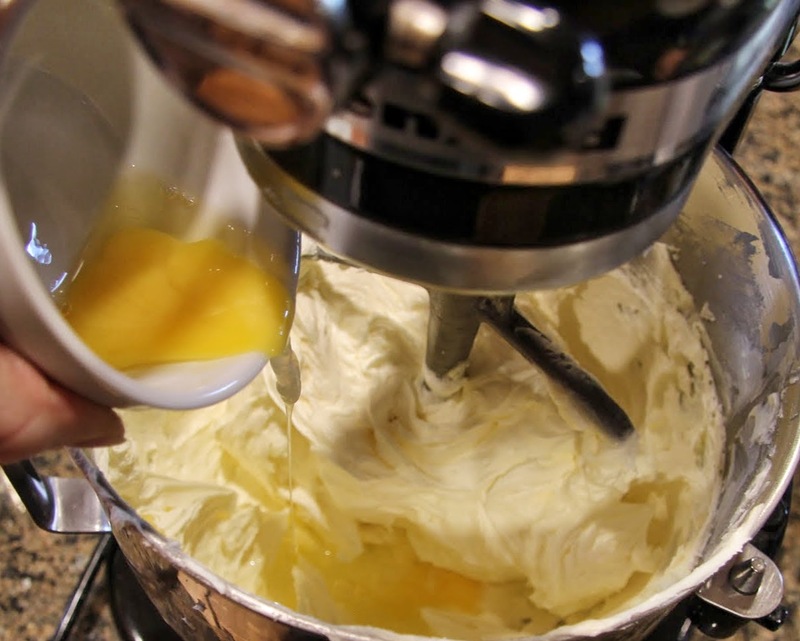 Once the butter and sugar mixture is light and fluffy add egg, vanilla and orange/lemon juice, beat well after each addition. 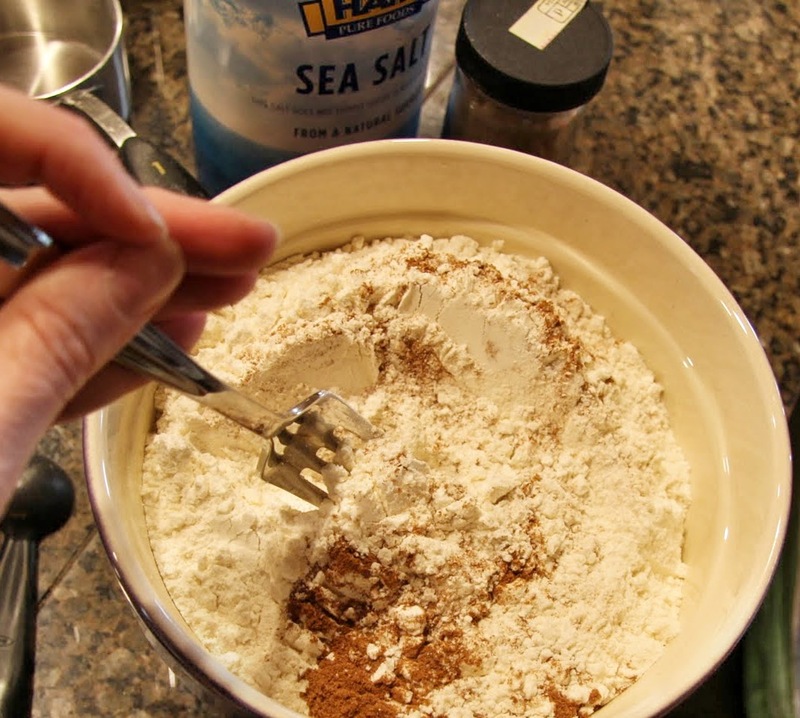 Gradually add flour, a little at a time until fully combined. 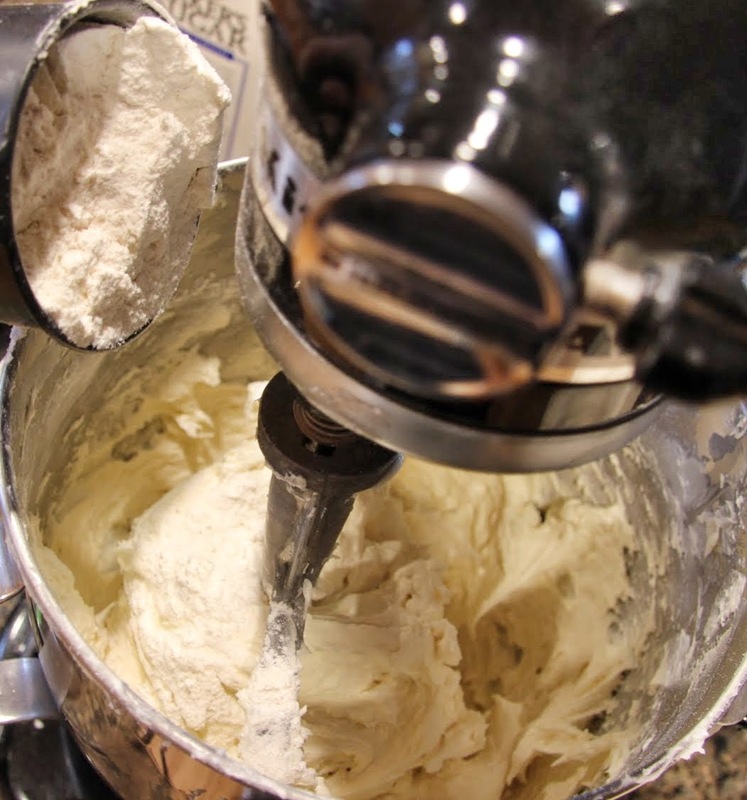 The dough should be slightly sticky, it will firm up in the refrigerator. Wrap tightly in plastic wrap (again, I doubled the batch so I had two) and refrigerate at least 3 hours and up to 3 days. Remove dough from refrigerator. It may need to sit out for 10 – 15 minutes depending on how long it’s been in the fridge. 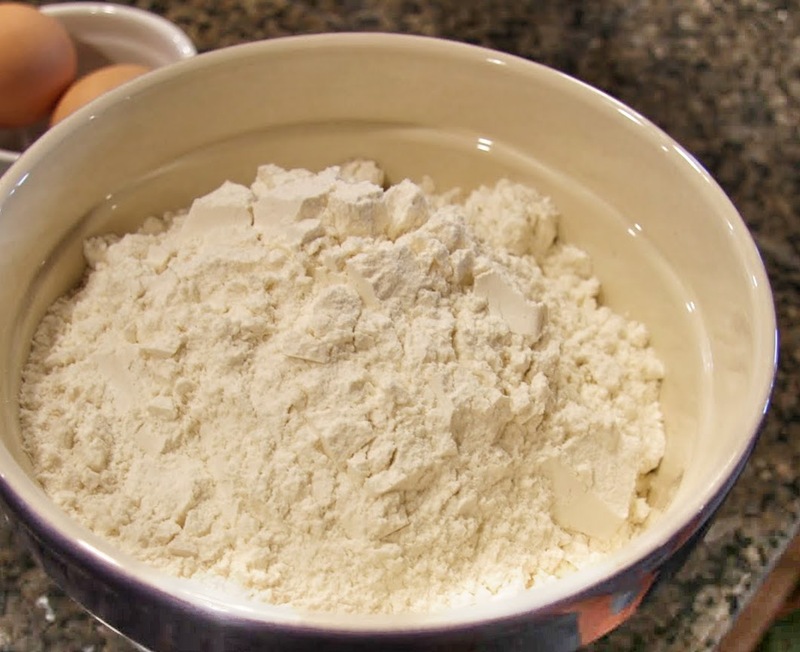 Roll the dough out as evenly as possible on a lightly floured surface, it should be 1/4 – 1/2 inch thick. 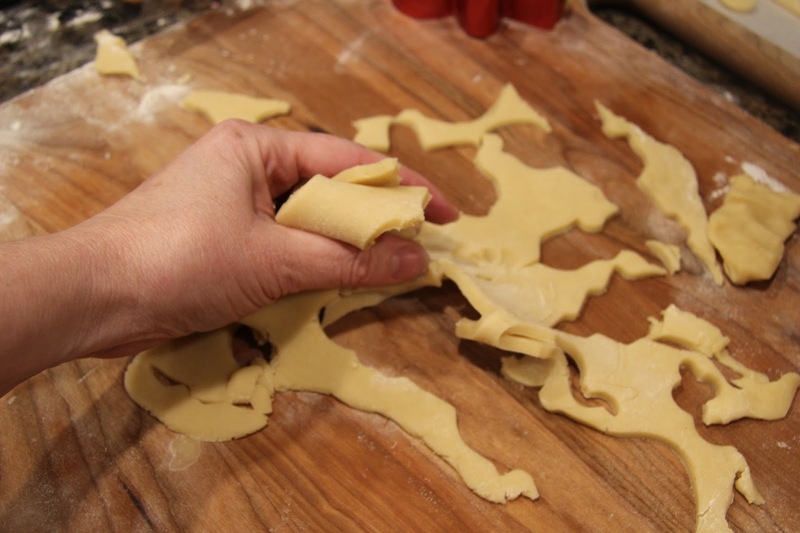 Cut desired shapes and place about an inch apart on cookie sheet, ungreased or lined with parchment. 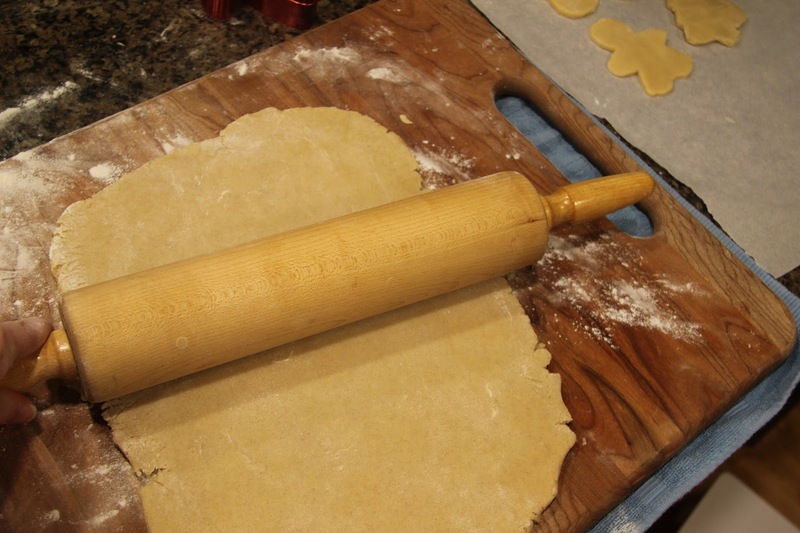 Gather up remaining dough, roll it out and cut more shapes. Once you have a full pan, bake in preheated oven for 10 – 12 minutes (varies depending on size and your oven) or until the edges are just beginning to turn golden brown. 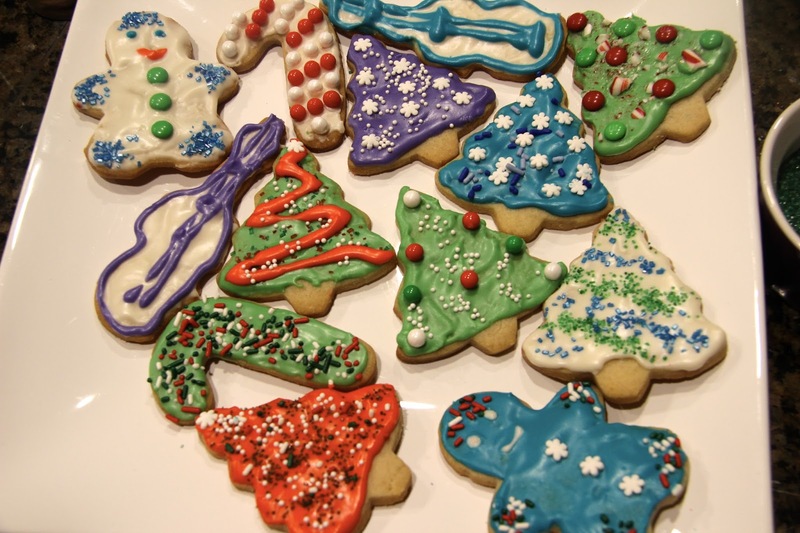 Allow cookies to cool completely on a rack before decorating. 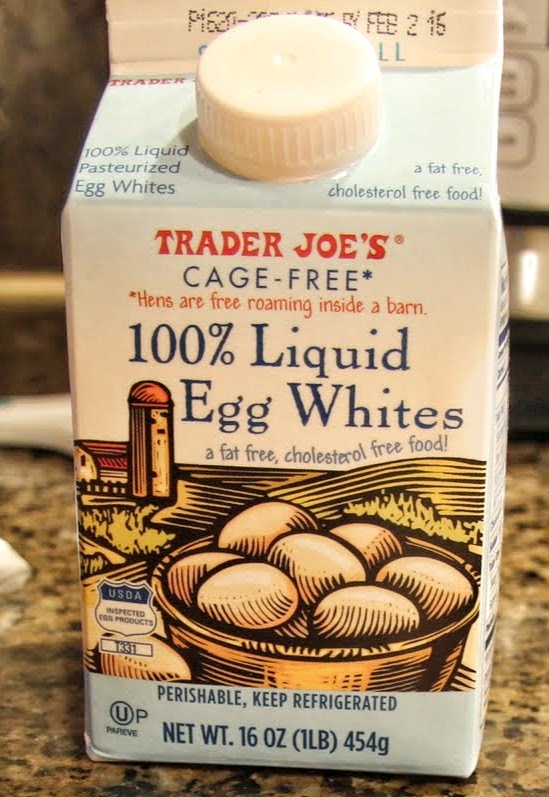 Since you’re not cooking the egg whites, I recommend buying them pasteurized for peace of mind. They are also super convenient to use this way. 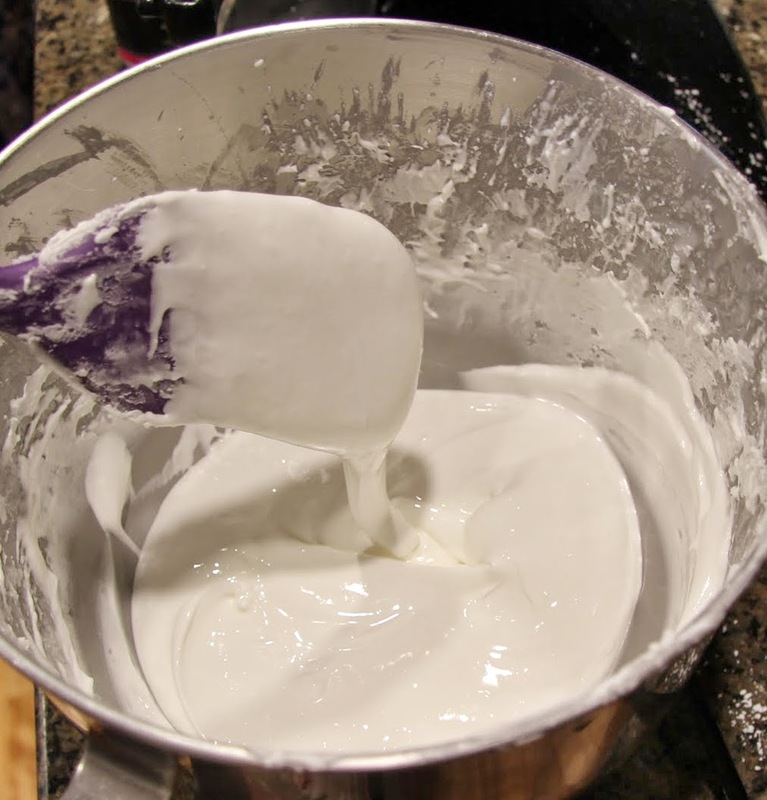 Just pour out 1/2 cup and place in the bowl of a stand mixer. Beat until frothy. 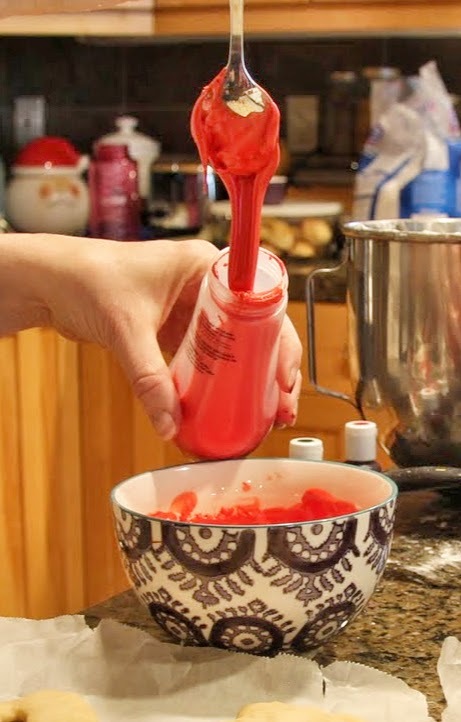 Gradually add in powdered sugar, lemon juice, peppermint extract and salt until you achieve a consistency that it shiny and thick, but not too thick – it should be easy to pipe through a pastry bag or plastic bottle. Divide according to the number of colors you are using and add color. I like this gel color I got at a craft store. 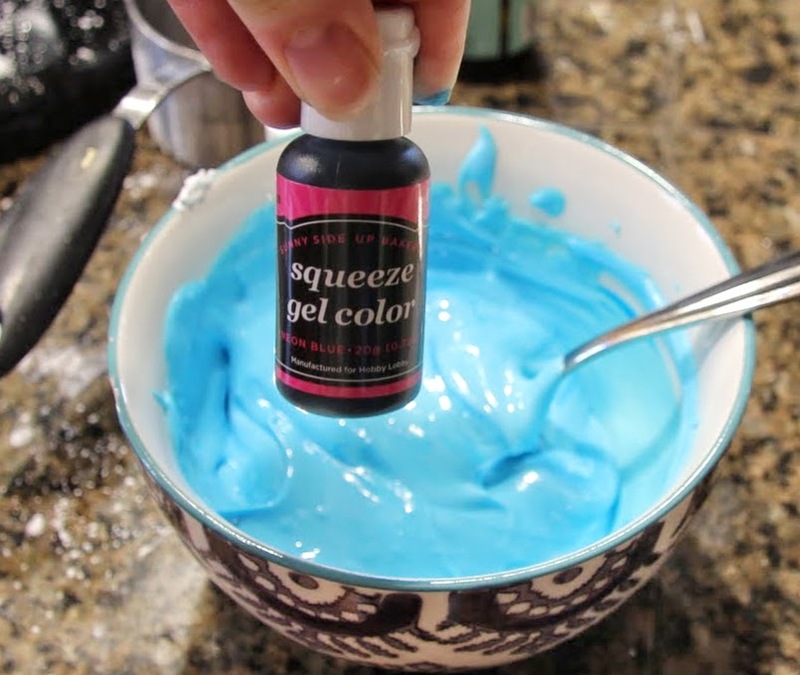 Transfer icing to a piping bag or one of these handy plastic squeeze bottles (found them in the candy making section of the craft store). You can also use ziplock bags with the corner snipped off as we did a couple years ago. 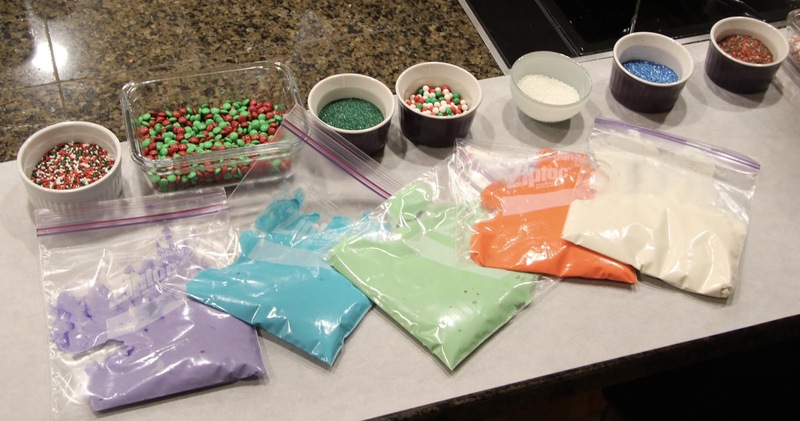 Line up frostings and pour out sprinkles into small bowls before beginning the decorating fun. Working together in 2015. 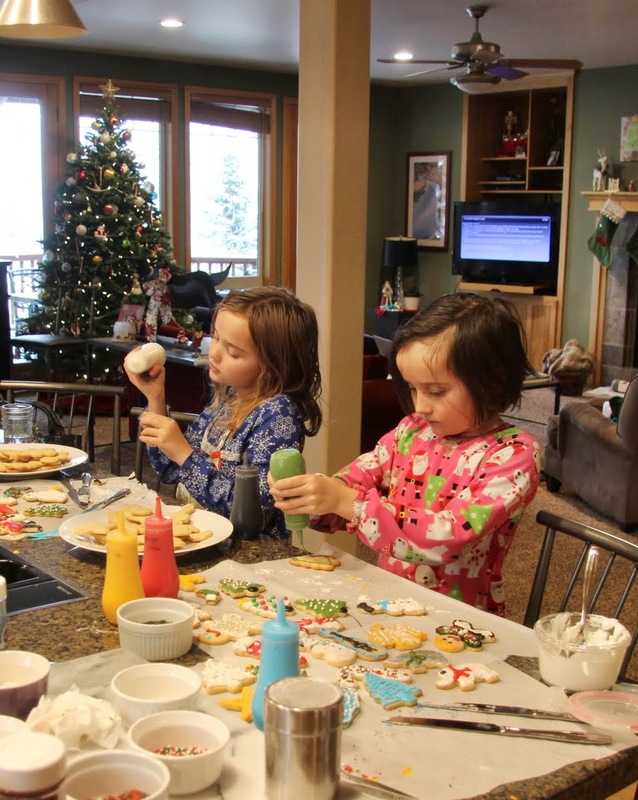 We had a perfect pajama day today with beautiful snow falling outside, cookie decorating, hot cocoa and Christmas movies!